Hamptworth Lodge in Wiltshire is part of a 3000 acre estate on the northern edge of the New Forest. 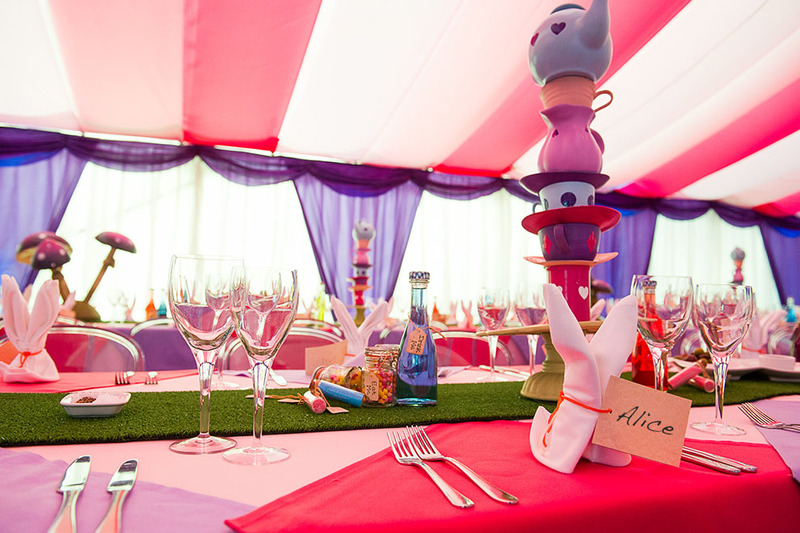 DSNM Ltd enlisted us to help celebrate 12 successful years in business. 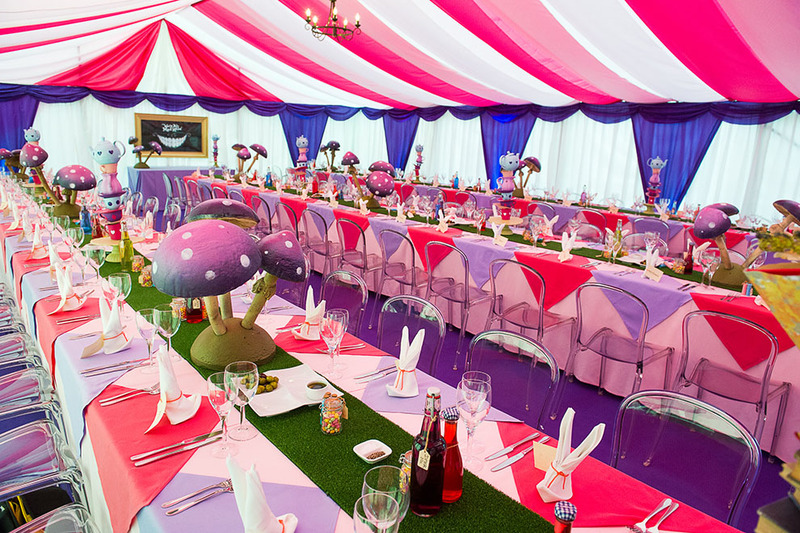 We created an Alice in Wonderland themed party in the grounds of the beautiful Hamptworth Estate, with the help of Marlin Marquees and Red Herring – masters of event catering. 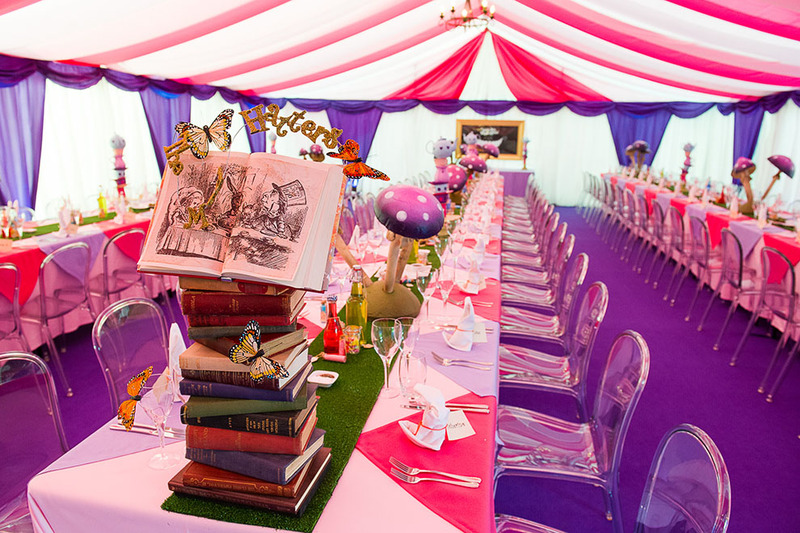 With some outlandish draping and bespoke props, we helped to ensure their special occasion looked every bit the Mad Hatter’s tea party!